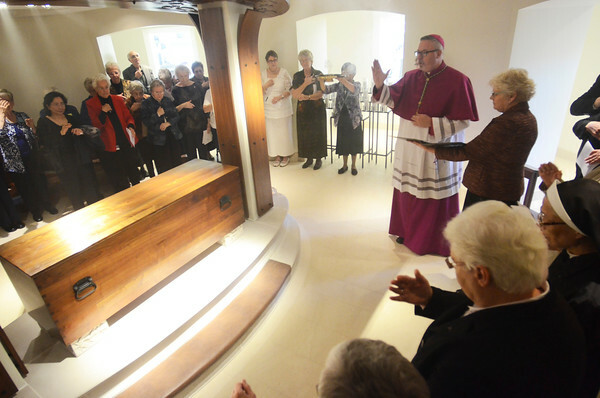 Tribune-Star/Jim Avelis Blessed: Bishop Christopher Coyne blesses the remains of Saint Mother Theodore Guerin at St. Mary-of-the-Woods Wednesday afternoon. Yesterday was the 174th anniversary of the founding of the Sisters of Providence and Saint Mary-of-the-Woods college. It also began the celebration for the 175th anniversary of the two institutions.